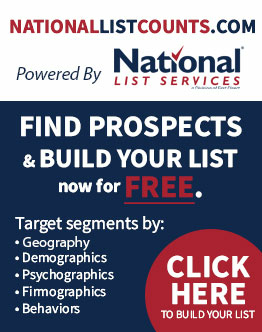 National List Services email solutions can put millions of prospects at your fingertips in an instant. Since these are 100% opt-in email addresses and we take spam compliance seriously, your message will always reach people that mean the most to you. We know you’re here to drive traffic, engage customers and inspire brand loyalty. That’s why we do everything possible to deliver the highest possible open and conversion rates. Not only do we guarantee delivery, you’ll receive our advanced open and click-through reporting. Our team is absolutely passionate about making email work better for you. Every morning 147 million Americans wake up and check their email. From those age 18-26, a full 68% use emailed coupons. But can you really expect a $44 ROI for every $1 spent on email marketing as another study shows? We can only point you to some very happy customers we have. Regardless of whether you’re getting the word out about your brand, promoting your products, generating surveys, or handing out offers – experience proves why email should be a valuable part of your marketing strategy today. Our expert group of email marketing consultants stands ready to put years of experience and creativity to work for you. What would you like to do with email today?